Countdown to Glastonbury 2019 – 19 weeks to go! Only 19 weeks and 2 days to go until Glastonbury Festival 2019! A unique feast of music set on a huge site offering a grand scale of entertainment unlike any other festival in the world. For five days 2,000 acres around Pilton farm plays host to a tented city in Somerset. As well as music from nearly every genre imaginable on over 100 stages, there’s performing arts with cabaret, theatre, circus, children’s entertainment, poetry, healing, green crafts and information and much more. Vibrant, spontaneous, colourful, and hugely entertaining. world’s best musical acts along with circus, theatre, comedy and more. The first acts officially confirmed are Friday’s headliner, Stormzy, Kylie for the Sunday’s Pyramid Stage tea-time slot, and Janelle Monae as one of the West Holts headliners. Most of the line-up is expected to be announced in April although Emily Eavis has said there’ll probably be other announcements before then. Expect something like 2,000 performances at over 100 venues including music, cabaret, theatre, circus, a fantastic Kidz area, poetry, green crafts and information, site art, decor, and loads, loads more … much more than just music, so make sure you check it all out! The majority of tickets have been sold. There should be a small resale of tickets in April. All people wanting a ticket will be required to have registered beforehand (see below), as an anti-touting measure. Tickets have the attendee’s photo printed on, and are not transferable or re-saleable. Entrance ticket: £248 + £5 booking fee. Children aged 12 and under do not require tickets and do not need to register. Campervans / caravans: £120 or £200. As part of the Festival’s continued commitment to green travel as well as to lessen the traffic heading to the festival, a number of tickets are sold with obligatory coach travel. 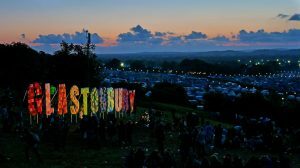 Registration does not reserve or guarantee you a ticket in the resale, but if you don’t register you will not be able to buy a weekend ticket for Glastonbury Festival 2019. Anyone aged 13 or over (when the Festival starts) who wishes to buy a ticket must also register. Registration requires providing basic contact details and uploading a passport-standard photo. Once the photo has been approved, a unique registration number is issued that will need to be quoted to book a ticket. Online registration is free of charge and only takes a few minutes. Each ticket sold will feature a photograph of the person in whose name it is registered and will be non-transferable. An existing registration can be checked here. efficiently, ‘reduce, reuse and recycle’. 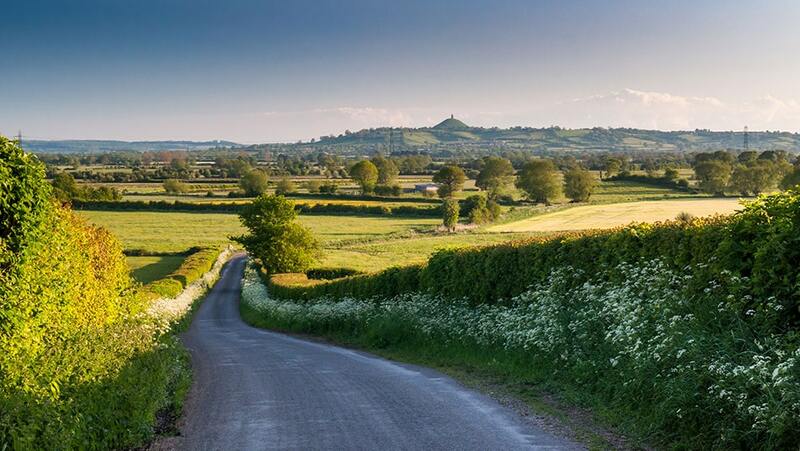 Glastonbury Festival believes that work begins at home, at Worthy Farm. Looking after the fields, the hedges and the livestock has always been the Festival’s number one concern, and it is what life is all about. Please take everything you bring and your litter home with you and ‘leave no trace’. The festival donates much of its profits to good causes including Oxfam, Greenpeace, WaterAid and hundreds of other worthy causes, both local and international. The Festival site is not expected to open before 8.00am on Wednesday. The option to sleep in the car parks in the evening on Tuesday night will once again be in operation. Please note there are no facilities available in the car parks on Tuesday night and people are expected to stay in their cars. It is also expected that Campervans will be able to arrive from Tuesday afternoon. From 8.00am on Wednesday pedestrian gates operate 24 hours a day until the end of the Festival. If you have any problems with your ticket, or getting on site, there are enquiry cabins at each pedestrian gate to assist you. Anyone planning to bring a campervan or caravan in 2019 will need to book their own campervan/caravan tickets and will need to present both their named campervan/caravan ticket and Festival ticket to be able to park in these fields. Campervan/caravan tickets will feature the name and address of the ticket booker. As with your Festival tickets, campervan tickets are non-transferable and will include the name and address of the lead booker. Attempts to re-sell them may result in their cancellation. 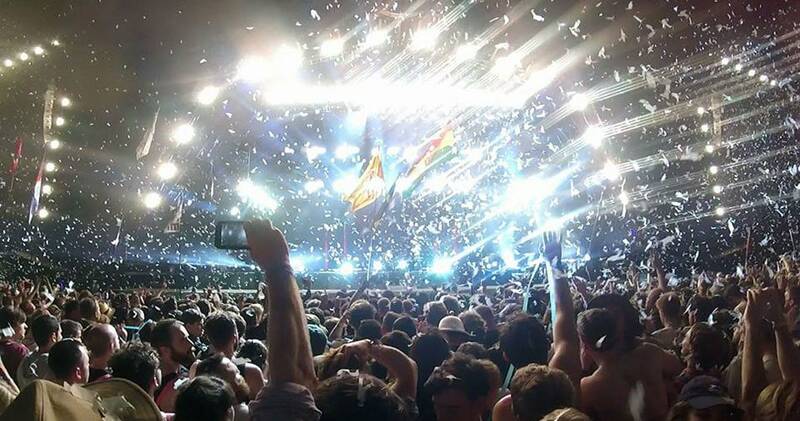 eFestivals created the original Glastonbury Festival website and this article. Source.